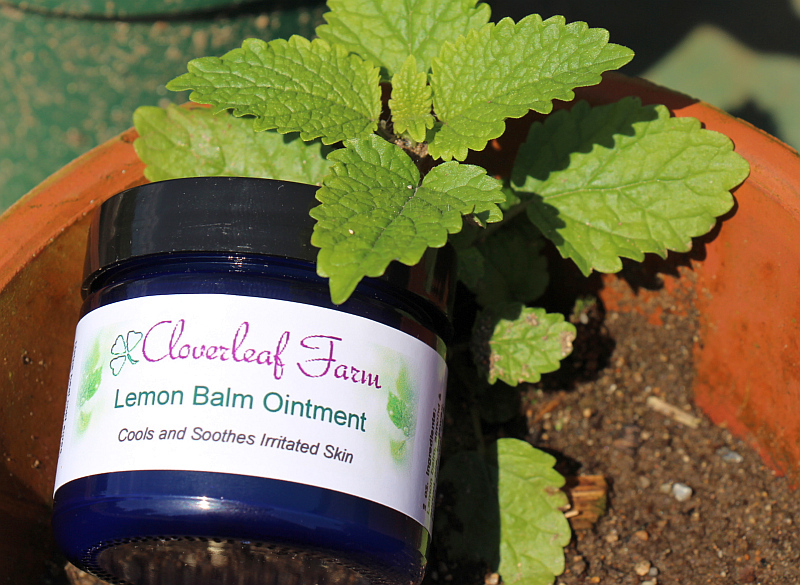 Today we were making more of our popular Lemon Balm Ointment. I just went out to the lemon balm plants and started picking. 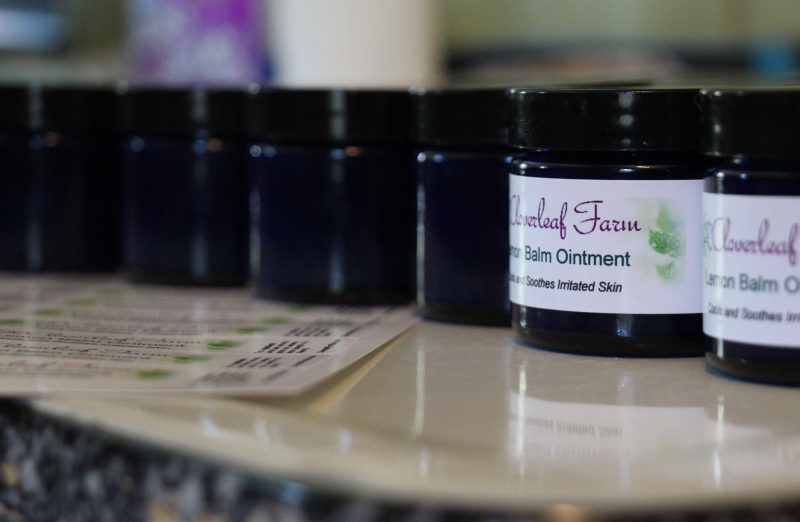 There attached to the plant was a jar of our ointment fully ready for picking and shipping out. While we do grow lemon balm here at the farm, I’ve yet to see a jar already made on the plants. 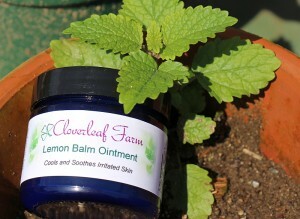 Lemon Balm Ointment is one of our most popular salves. We do go through so much lemon balm herb that we can’t possibly grow enough here on the farm. We do, however, only use organic and are always looking for as many local sources to obtain it from as possible. So yes, today w as a day to make more using the oil that had been cold pressed for six weeks. We steep it this long to obtain a better quality of oil and provide maximum healing benefit. It’s slightly heated for even more of a boost. Beeswax and 100% pure lemon essential oil are added to make this a quality ointment that’s been our top seller for years. Lemon balm is the best anti-viral herb for things like shingles, cold sores and a host of other skin issues. This ointment is gentle enough to use everyday for maintenance of skin issues and eruptions. Of course we also have more potent formulas. So for the time being the shelf is full again. I sense it won’t last long.